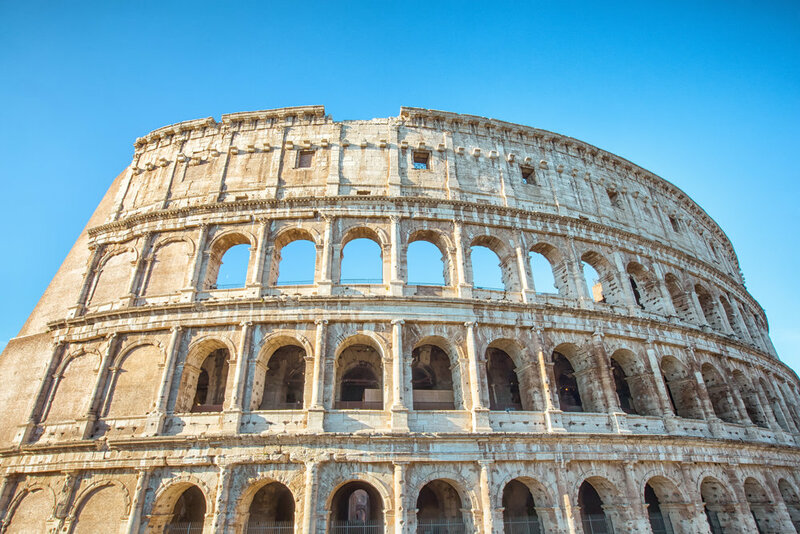 The Colosseum has been the iconic symbol of the once powerful Roman empire since Emperor Vespasian commissioned its construction nearly two thousand years ago. in the years since, the giant amphitheatre has survived every catastrophe the world has thrown at it. Not even the fall of the Roman Empire, or the millions of tourists who now visit it every year has brought it down. Once a place frequented by Rome’s Emperors, Senators and Intellectuals, the Colosseum was a place where gladiators lived and died by the sword and where animals were brutally slaughtered for the enjoyment of the masses. Known as one of the finest Roman buildings ever constructed, the influence of the Colosseum’s design and architecture is immeasurable. The engineering skill and know-how that it took to complete a structure of its size and has allowed it to survive for as long as it has is a feat that cannot be understated. Today the Colosseum is one of the world’s most popular tourist destinations and every year more than four million people walk through the gates to marvel at the sight of one of the ancient world’s most spectacular creations. 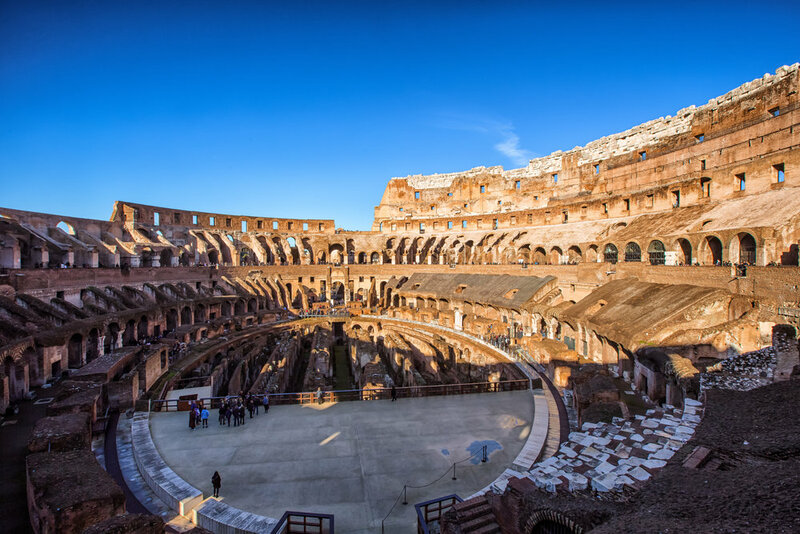 Seating between 50,000 - 80,000 spectators, the Colosseum is a massive structure that holds the record as being the largest of its kind not only during the Roman Empire, but today as well. 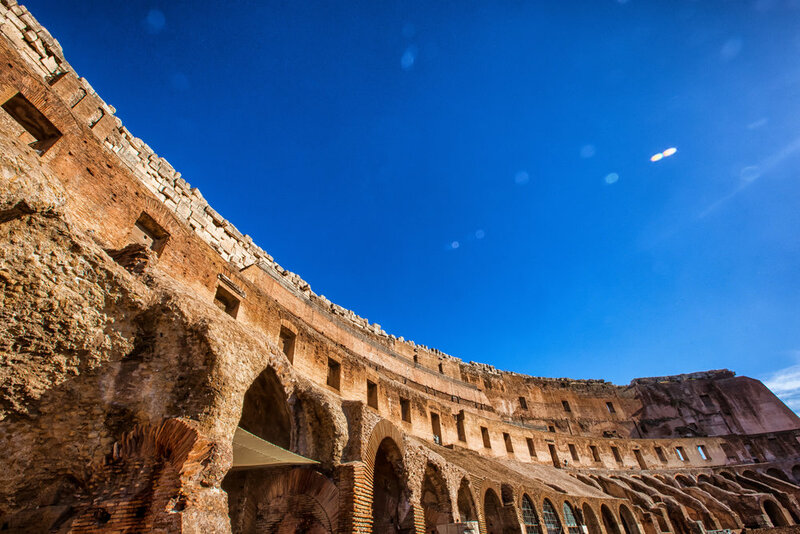 Built in a prime location in the ancient city, the Colosseum was the premiere venue for celebrations and sporting events and was regarded as a symbol of the power and prestige of the Roman Empire and legends about its size and grandeur filled the hearts of Rome's enemies with fear. 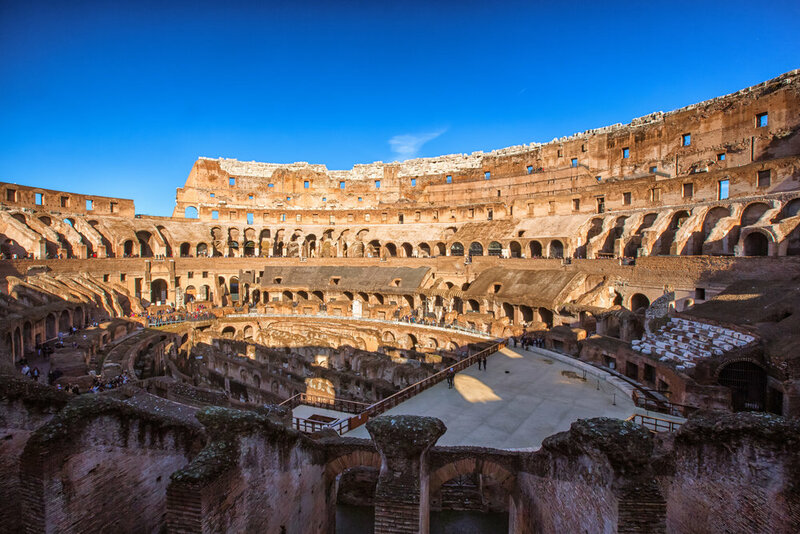 As the symbol of Rome’s power, the Colosseum mirrored that of the empire and was known for the brutality that took place within as the grand spectacles often consisted of gruesome gladiatorial combat, wild animal hunts and public executions - with tickets always being free! Construction on the Colosseum commenced in AD 72 under Emperor Vespasian who commissioned it as a ‘gift to the people.’ It was completed eight years later under Vespasian’s successor Emperor Titus who officially celebrated its completion with 100 days of games. The land where the Colosseum was constructed was previously part of Emperor Nero’s grand palace known as ‘Domus Aurea’ which burnt down in AD 64. Nero, the last emperor of the Julio-Claudian dynasty is remembered as a tyrant who lived a life of extravagance at the expense of the people and the land where his palace was built was taken from the people of Rome. The latter years of Nero's rule were marred by civil war which saw almost all of his supporters turn against him. With seemingly no other option, Nero commit suicide in AD 68 which started a power vacuum and a chaotic period known as the ‘Year of the Four Emperors’. When the dust settled, Vespasian, a successful military leader and civil servant claimed victory and initiated the Flavian Dynasty. Vespasian, a populist sought to rebuild Rome after the great fire and commissioned an amphitheatre on the grounds reclaimed from Nero's palace which was seen as giving the land back to the people. 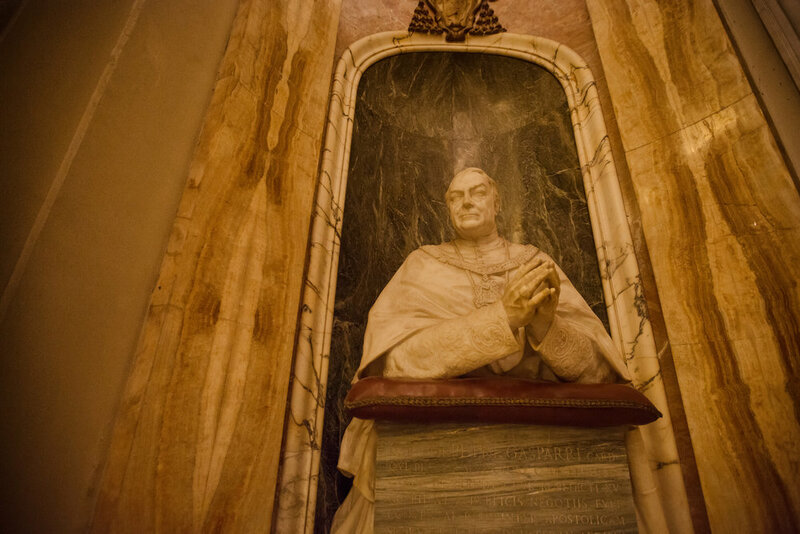 Vespasian’s successor, his son Titus, was a much loved ruler and like his father was known for his populist policies as well as his humanitarian response to the eruption of Mount Vesuvius which destroyed the Roman cities of Pompeii and Herculaneum. When the Colosseum was completed in the year AD 80, Titus endeared himself to the people yet again by inaugurating the building with elaborate shows of gladiatorial combat, wild animal fights, mock naval battles and horse and chariot races as well as offering prizes of gold, clothing and even slaves for people in the audience. The Colosseum was actively used for over four centuries but the decline of the Roman Empire and the popularity of a 'new religion' caused the public to lose interest in the gruesome shows that were offered more or less forcing it out of business and leaving it pretty much abandoned. 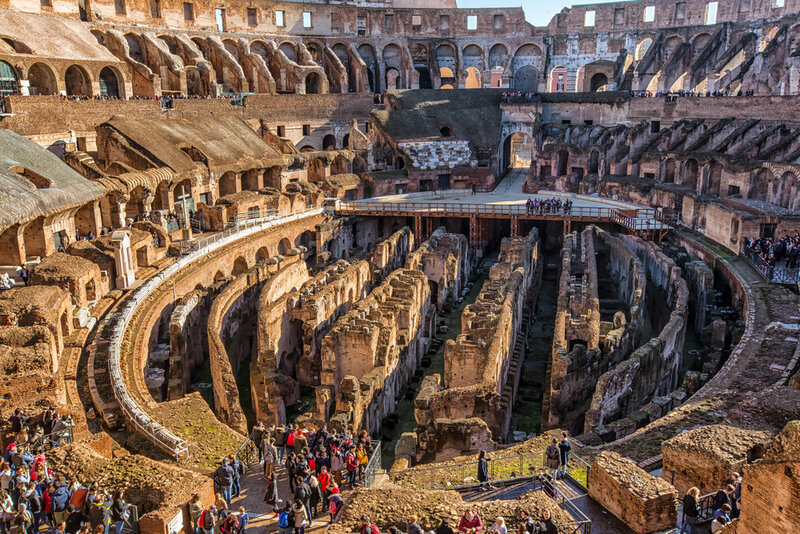 The abandonment of the building resulted in centuries of neglect and vandalism which unfortunately stripped the Colosseum of all of its decorative beauty. Later it ended up becoming a quarry which supplied Rome’s various construction projects with building materials. 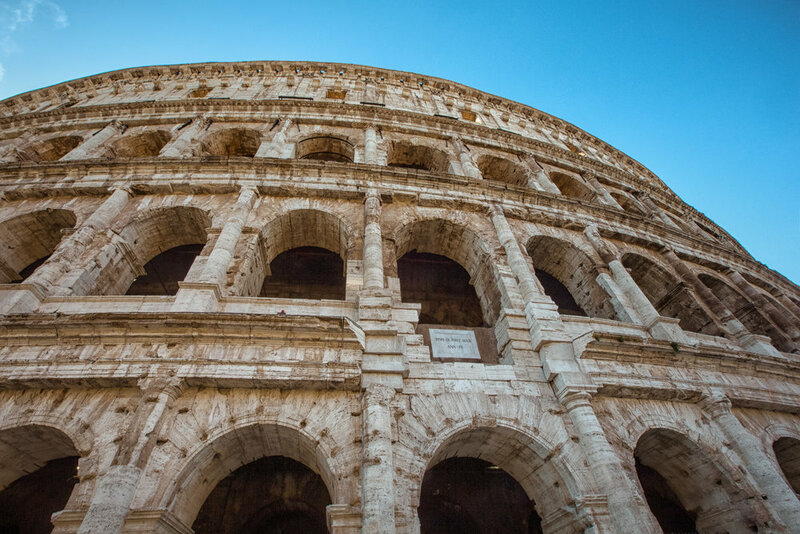 In 1749, Pope Benedict XIV put an end to the usage of the Colosseum as a quarry and consecrated the building as a sacred site. 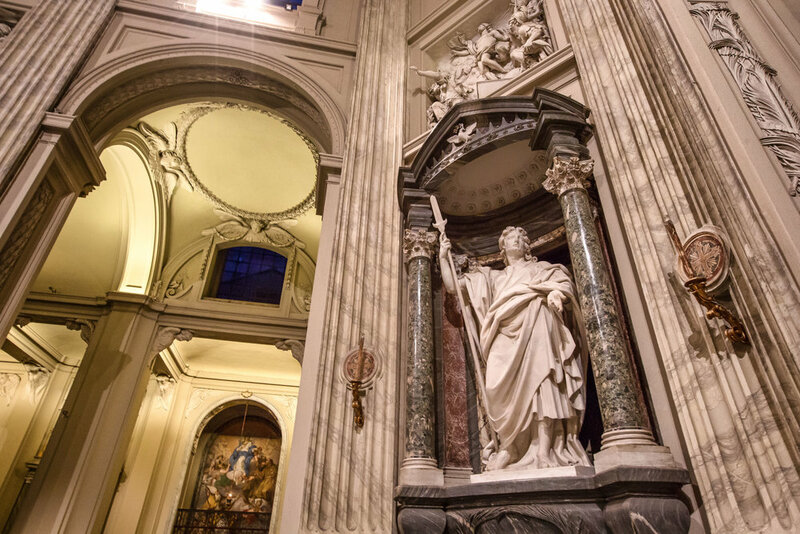 The Pope argued that the building was sanctified by the blood of early Christian Martyrs who were executed on site. 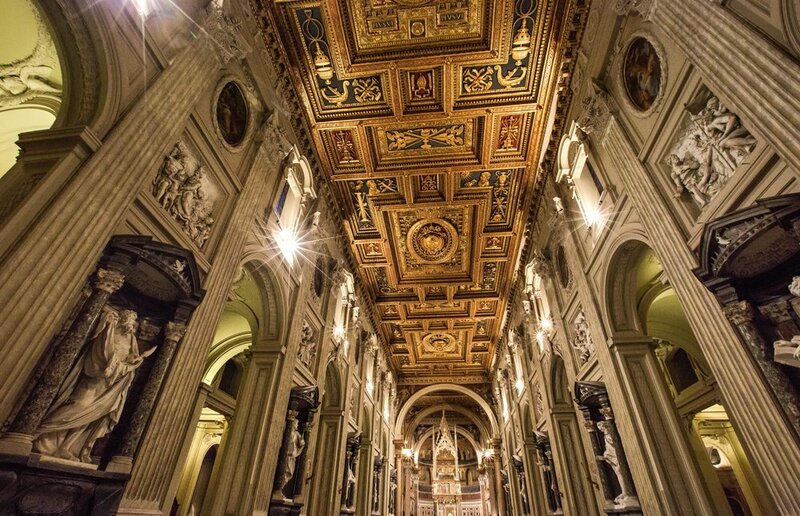 Despite little evidence for Christian persecution and executions ever taking place at the Colosseum, the actions of Pope Benedict XIV and the Popes who succeeded him resulted in the the building becoming protected and restoration projects were carried out to save it from total destruction. Today the Colosseum is one of Rome’s top tourist destinations with millions of tourists visiting every year. 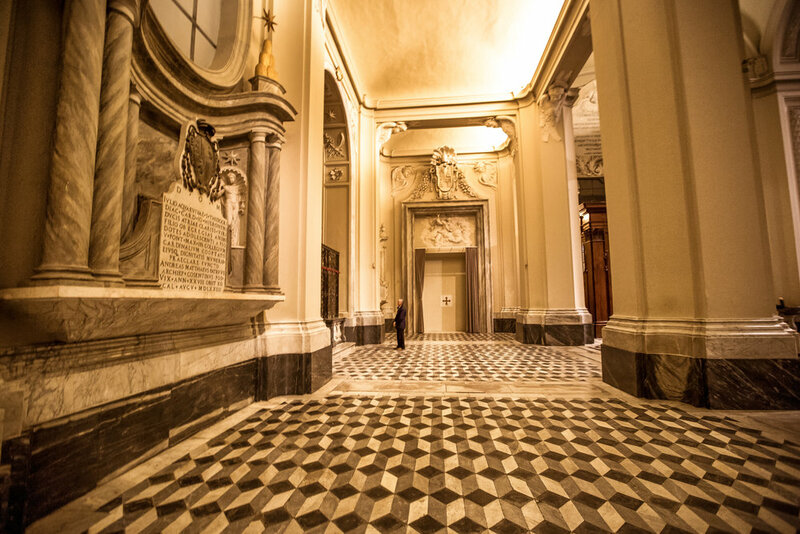 Restoration efforts on the site are ongoing and recently tours of the top levels of the building as well as the underground hypogeum have become available for tourists. 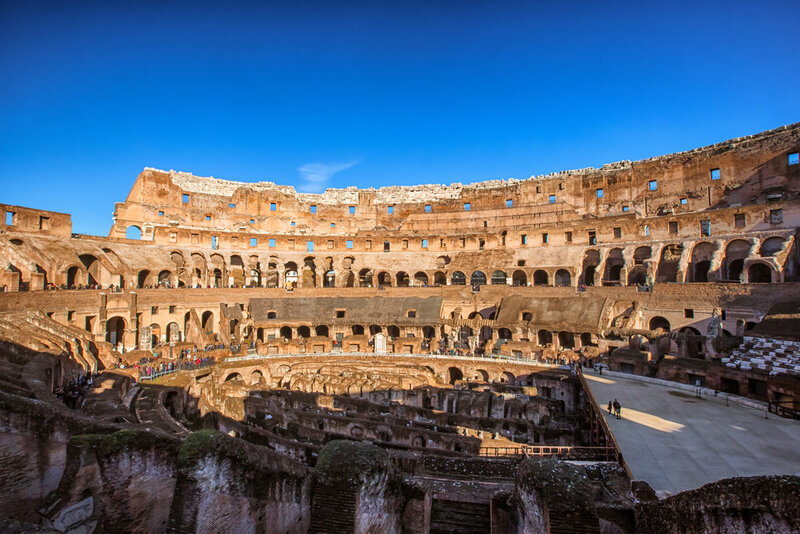 The Colosseum is the most popular tourist attraction in a city full of tourist attractions - Over four million people visit the site every year which means that on average over ten thousand people visit everyday. What does this mean? Your visit to the Colosseum is going to be shared with thousands of other people and you should be prepared to wait in long lines. 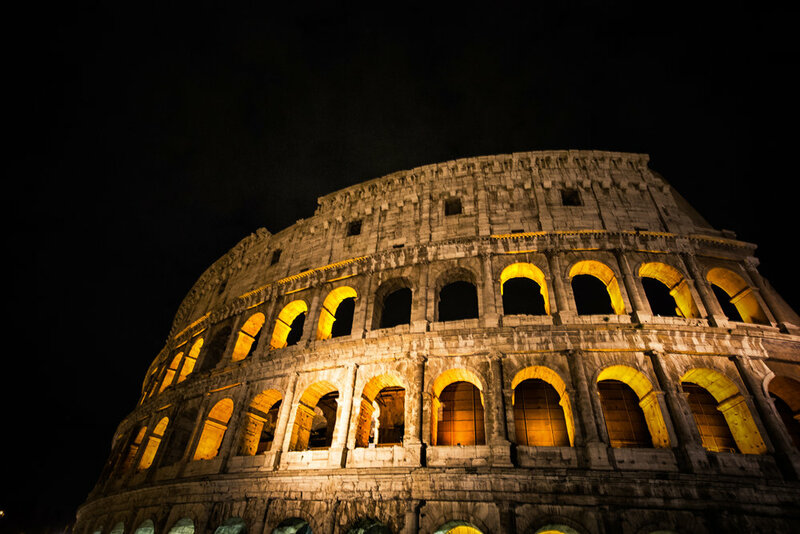 Below are some tips that you may want to take into consideration before and during your visit which will help you save time, money and offer a more rewarding experience at the Colosseum. 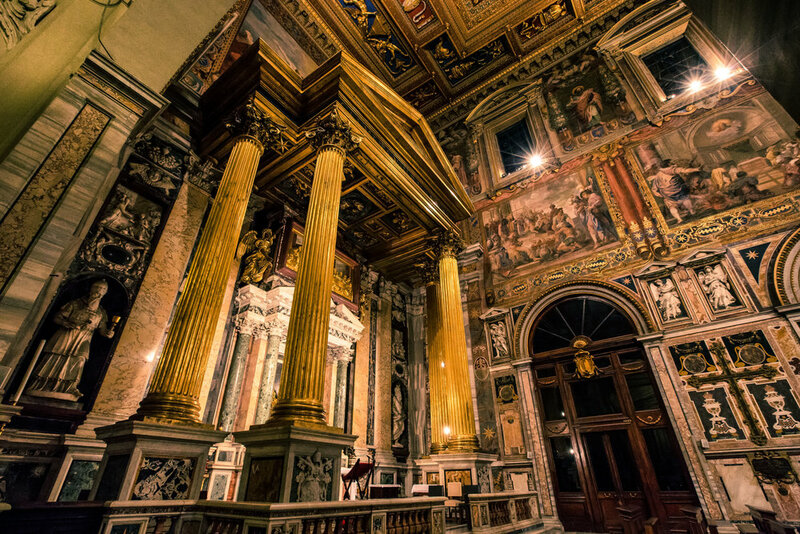 - Plan your trip in advance - If you are travelling to Rome, make sure to plan your entire itinerary in advance. 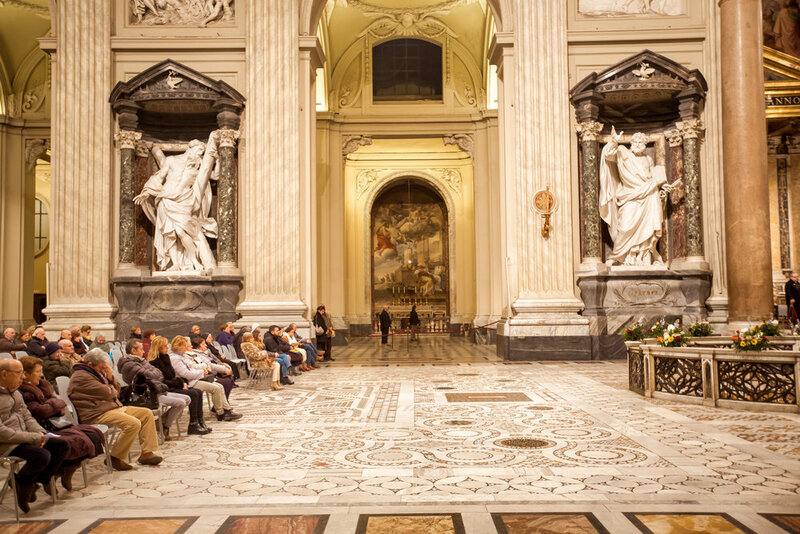 Spontaneous travellers or people who wait for a favourable weather forecast are going to end up wasting a lot of time waiting in lines at places like the Colosseum or the Vatican. The biggest advice I can give you is to do your homework and plan your trip in advance which will allow you to save a lot of time and skip the ticket queues. 'Skip-The-Line' tickets are available for purchase online - Go directly to the source, the Coop Culture website, which offers a number of ticket options for tourists. The basic ticket costs €12.00 per person with a €4.00 service fee. 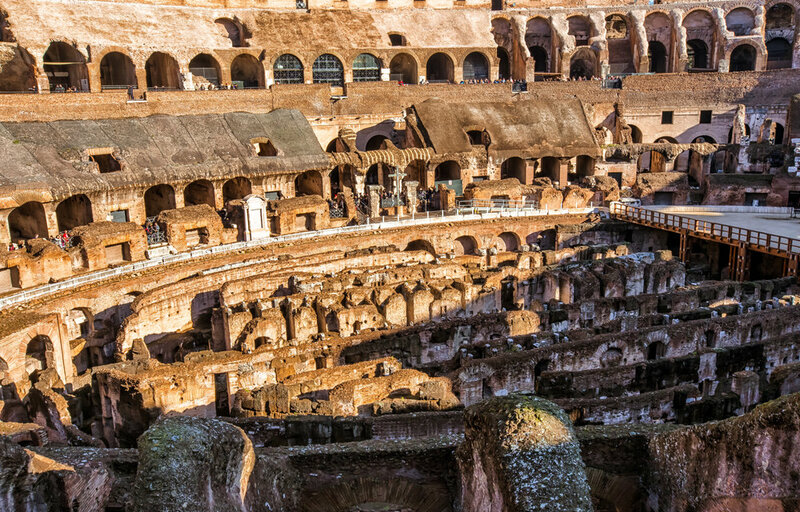 The tickets are valid for two days and includes admission to the Colosseum, the Roman Forum and Palatine Hill. 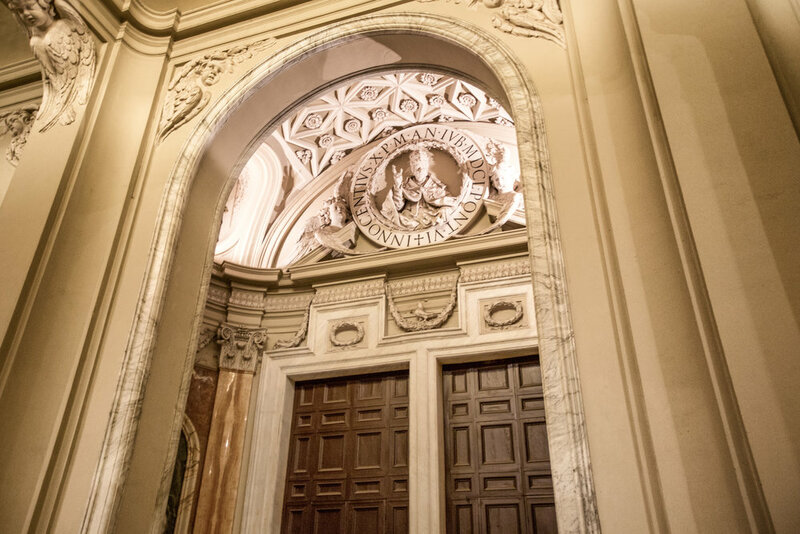 There are also other options available which include admission to the hypogeum (underground) as well as the Third Ring at an additional cost. 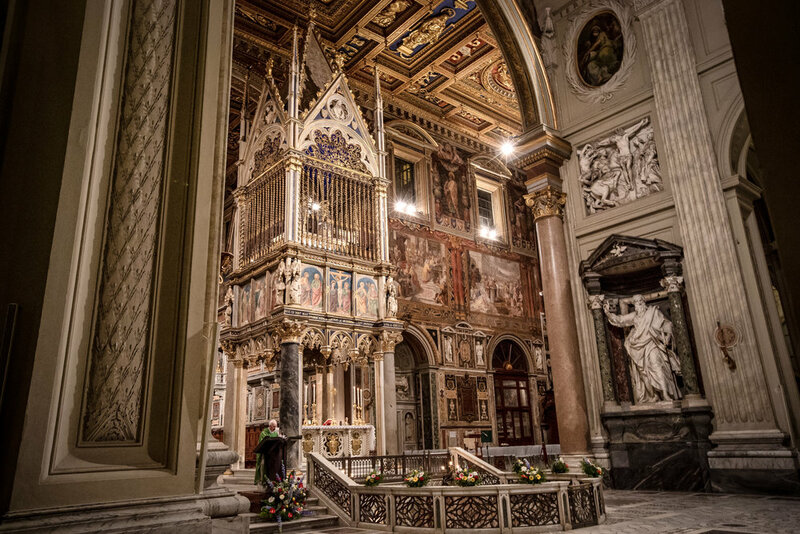 Prefer to visit with the help of a tour guide? 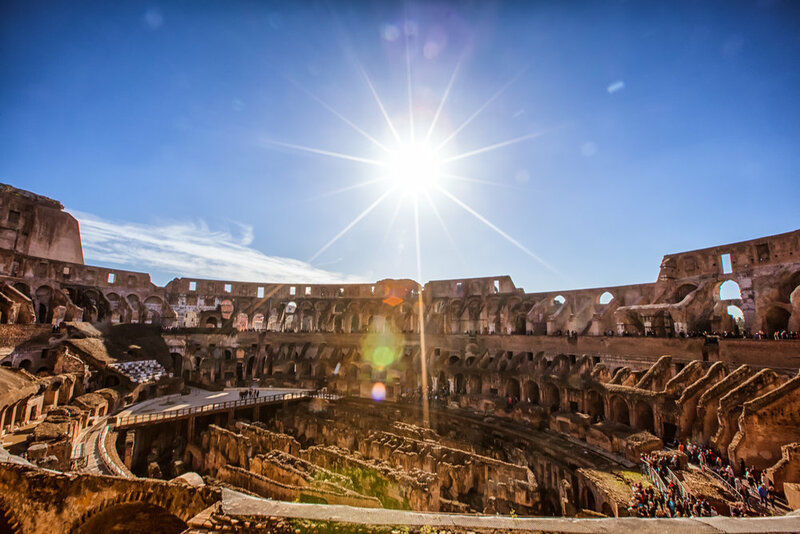 Taking a tour led by a professional tour guide (who speaks your language) is often a popular option for travellers and at the Colosseum there are certain sections that tourists cannot visit unless they are taking part in a guided tour. The web is full of tours that you can book in advance. My advice here is to shop around to find the best price for the experience you want to have. 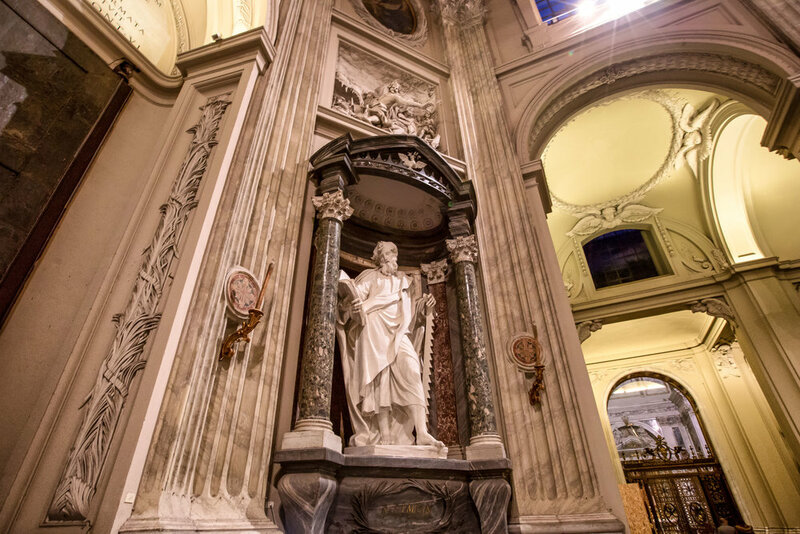 You are also going to want to book your tours well in advance as spots fill up quickly. Roma Pass? 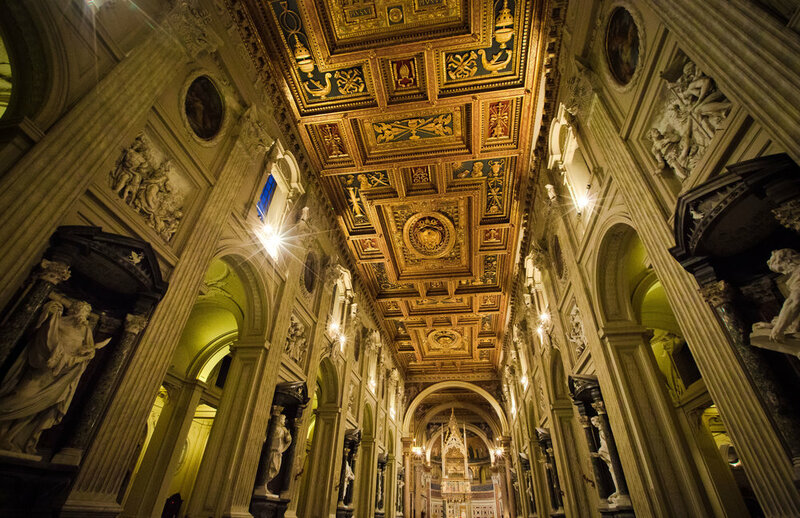 If you are visiting Rome for a short time, you may want to consider purchasing the Roma Pass which comes in intervals of 72 and 48 hours. 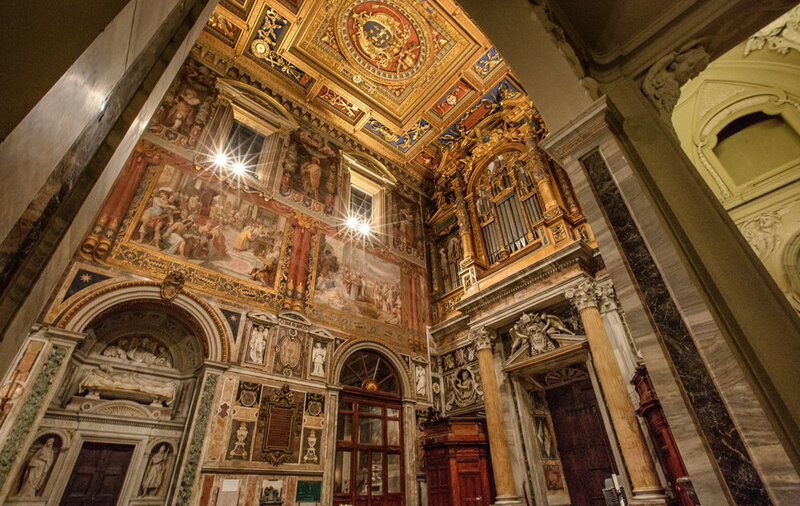 Each of the passes offers unlimited access to Rome’s public transport network and discount tickets to many of the city’s tourist destinations. 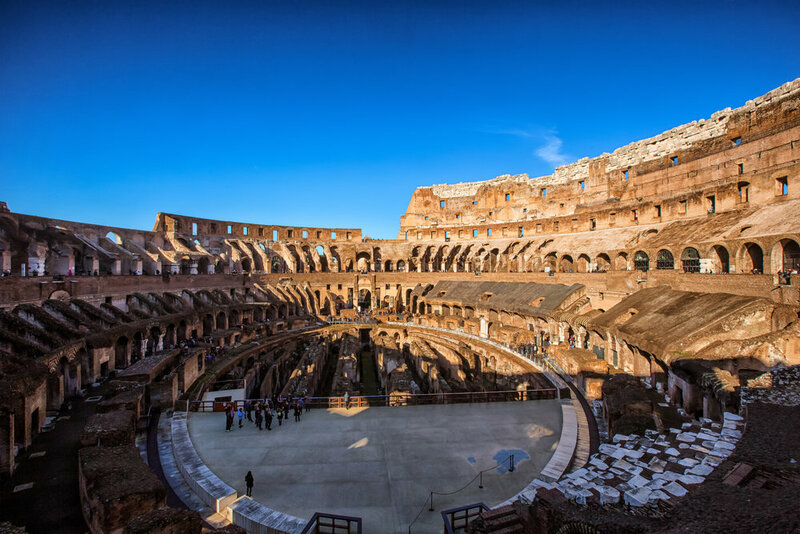 You can use the Roma Pass for skip-the-line admission to the Colosseum as the pass offers free entry to either one or two of Rome’s museums or archaeological sites (depending on which you purchase). Need an Audio-Guide? Audio-Guides are not included with your admission tickets, so if you want to have one to better understand what you’re seeing while in the Colosseum, it would be a good idea to order one in advance with your skip-the-line tickets. The guides can be purchased for an additional €5,50 from the Coop Culture website. There are some apps available in the iTunes or Android App Store that offer audio guides and interactive maps which you may want to download before your trip. On the day that you are visiting the Colosseum, do your best to arrive early - The gates open at 8:30am and a line will have formed well before that. It’s a good idea to visit earlier in the morning when there are fewer people which should allow you to take better photos and avoid the hot sun. The area around the Colosseum is full of people busking and selling souvenirs. You’ll want to be careful about your interactions with these people as they can be sometimes be aggressive in their salesmanship. If anyone tries to hand you anything, politely refuse. If they keep bothering you, just simply walk away and they’ll leave you alone. Even though there is a police and army presence on site, it is still recommended that you take extra care of your belongings, especially during the high season. 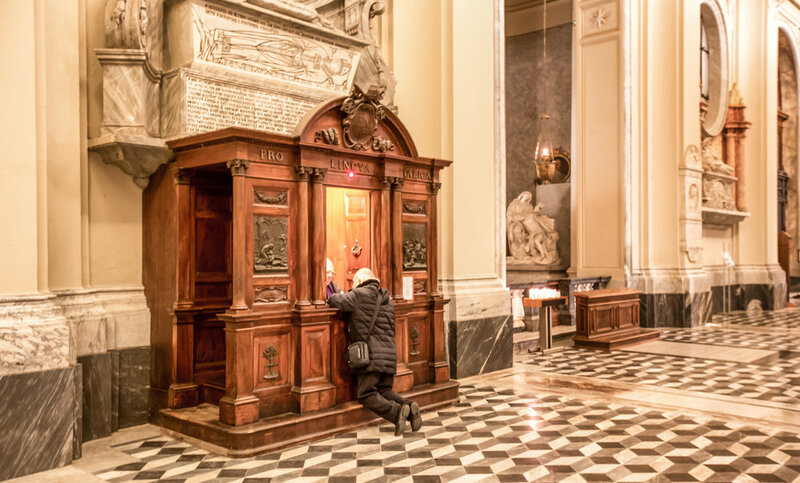 Rome’s pickpockets are notoriously skilled at what they do - Don’t leave anything unattended to take a photo and don't make it easy for your wallet or your phone to be lifted. Before you enter, you are going to have to pass through a security gate, much like the kind you go through at the airport. Due to global terrorism, security measures have increased which often results in delays for tourists. Visitors are not permitted to take in drinks or large bags and tripods are also frowned upon. You should pack light on the day of your visit to save time. As mentioned above, your tickets are valid for two days, but do not allow for re-entry. 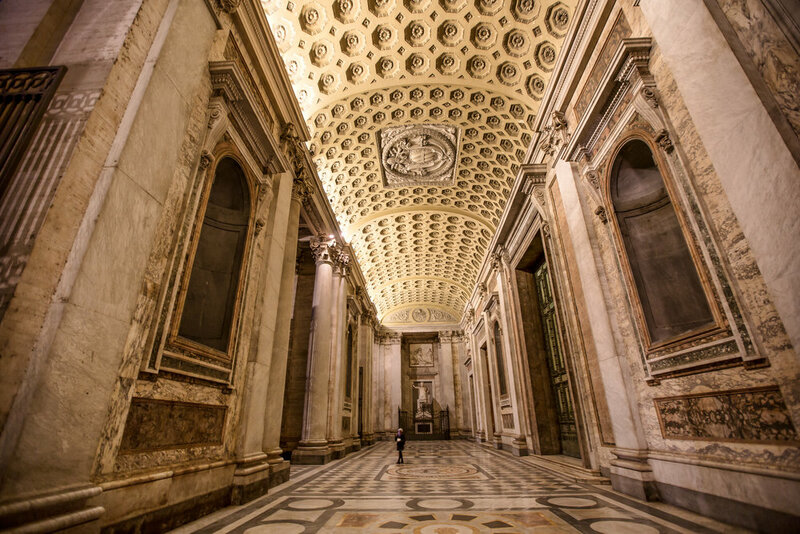 If you end up spending way too much time at the Colosseum and would prefer to leave the Roman Forum and Palatine Hill to the next day, that is an option. Most people however spend about three hours at the Colosseum and are still able to finish all three sites on the same day. 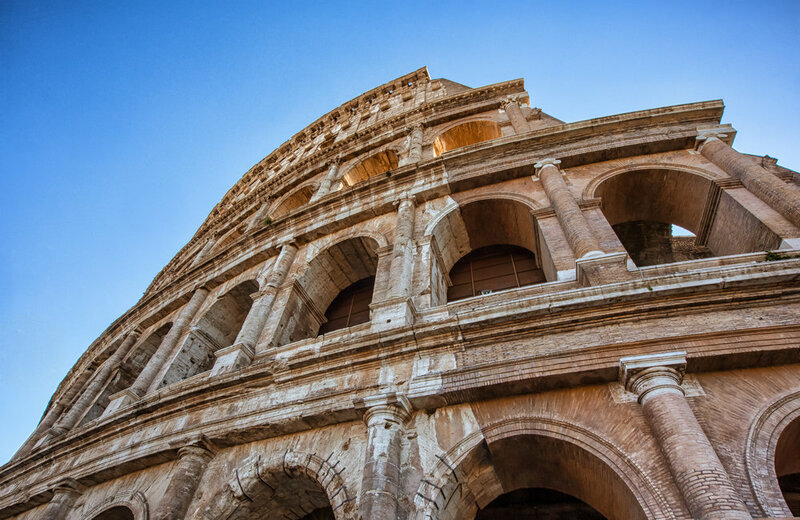 If your plan is to visit the Colosseum, Roman Forum and Palatine Hill on the same day, I recommend visiting the Colosseum first and then taking a break to get some lunch before continuing your day. There are a lot of food options in the area but most are overpriced tourist traps. 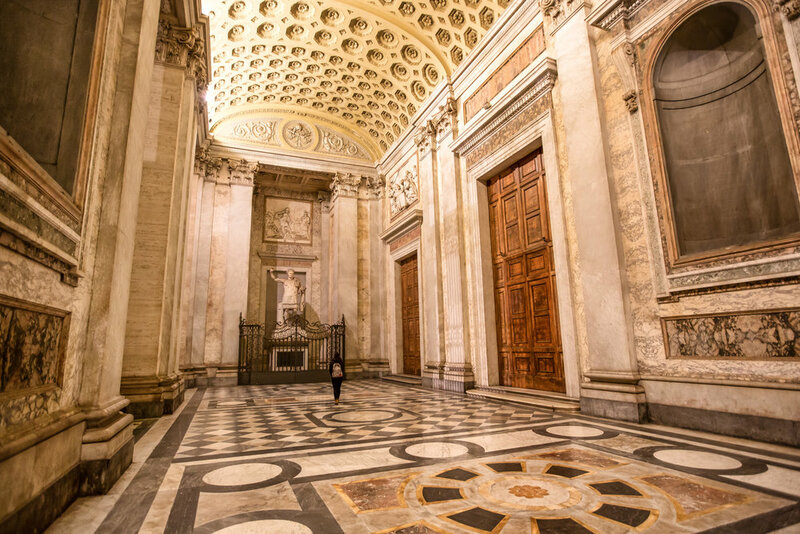 You may want to consider taking a short walk down ‘Via die Fori Imperiali’ and turning right onto ‘Via Cavour’ to check out some of the many restaurants and gelateria’s there which will be cheaper and have smaller crowds. 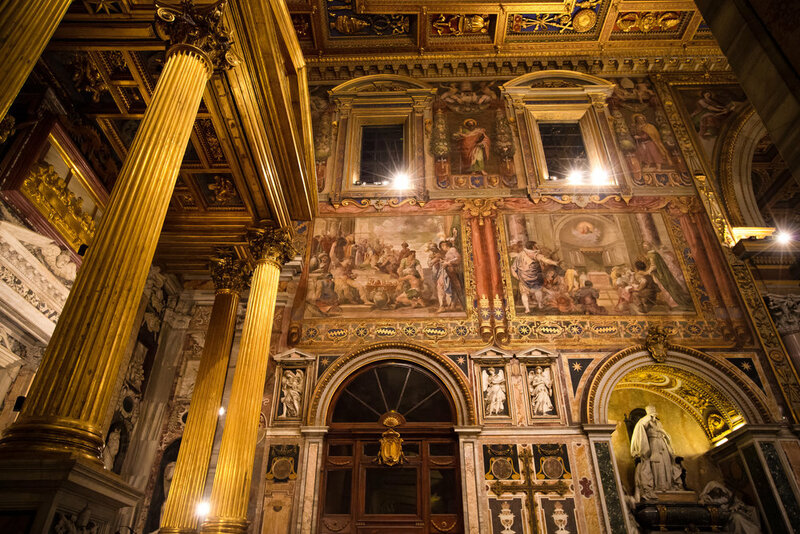 After a long day of sightseeing you’ll probably want to have dinner and relax in a fine Roman restaurant. Don’t end your day too early though. 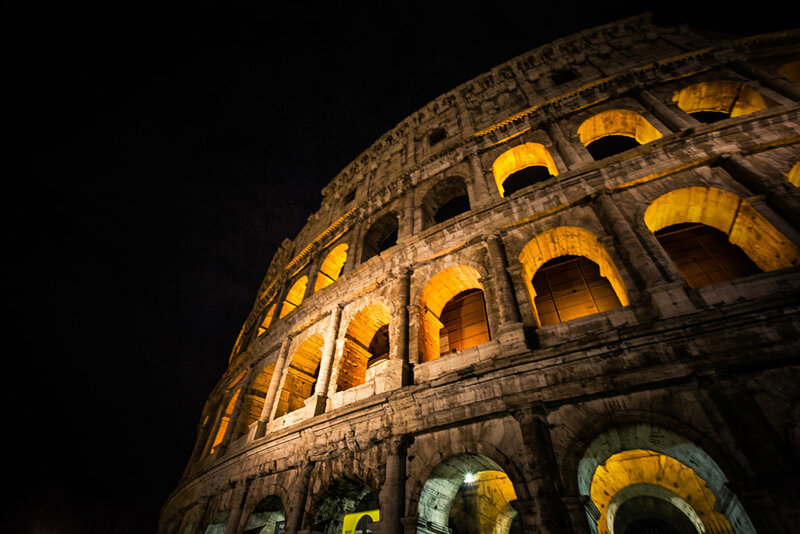 Make sure to head back to the Colosseum to check it out after dark which provides for some great photos. 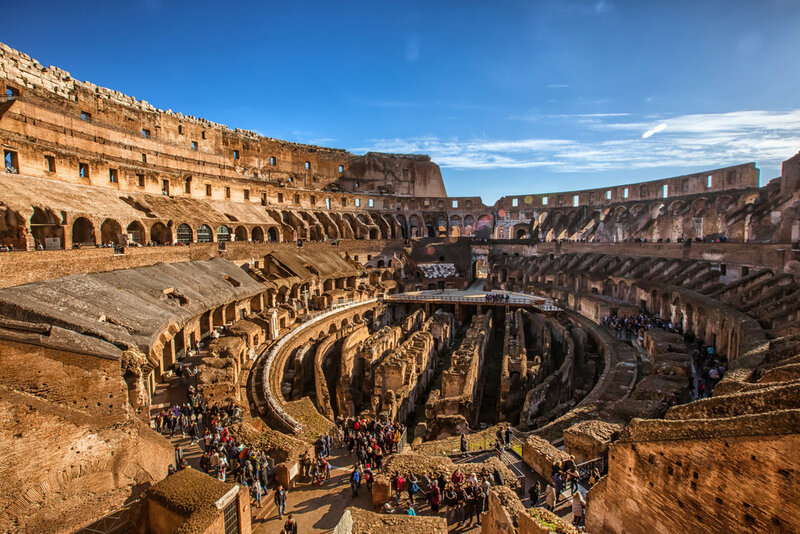 A visit to the Colosseum is a must for any traveller visiting Rome - If you visit Rome and for some reason don’t bother going to the Colosseum or checking out the Roman Forum, you seriously will have missed out and may want to have your brain examined by a medical professional. In all of my travels I don’t think I can say that I’ve ever felt as overwhelmed as I did than when I visited the Colosseum - It should be fairly obvious why it is one of the top places to visit on any travellers ‘bucket-list' and if you have the chance to visit, you will quickly realize why it has inspired people from all over the world for the last two thousand years.